The Rhine Bridge Speyer spans the Rhine three kilometers north of the center of Speyer. 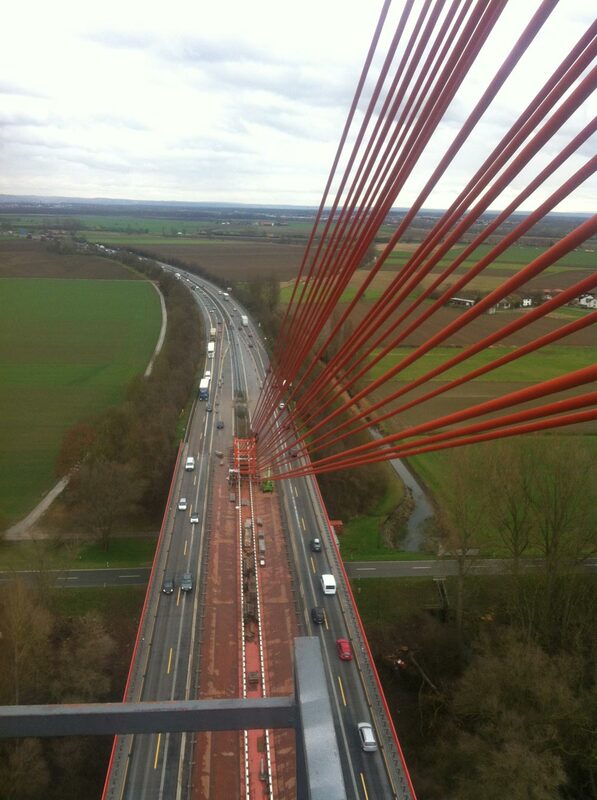 The road overpass with a single-girder cable-stayed bridge in the river area is part of the Federal Highway 61 and lies between the connection points Speyer and Hockenheim. 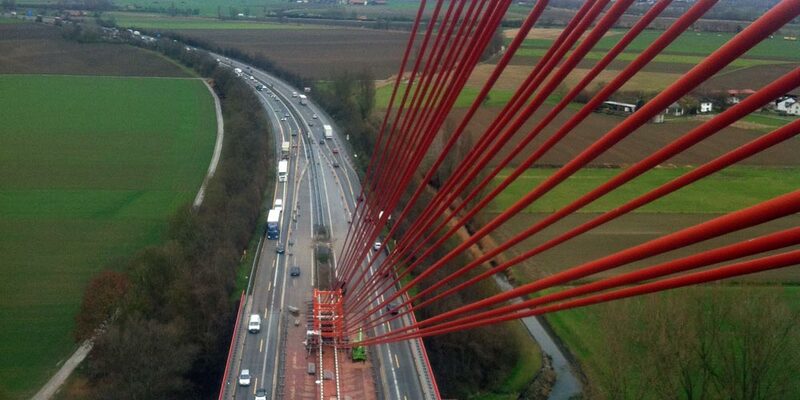 The bridge train is a total of 758 m long and has two lanes and a lane for each directional carriageway.